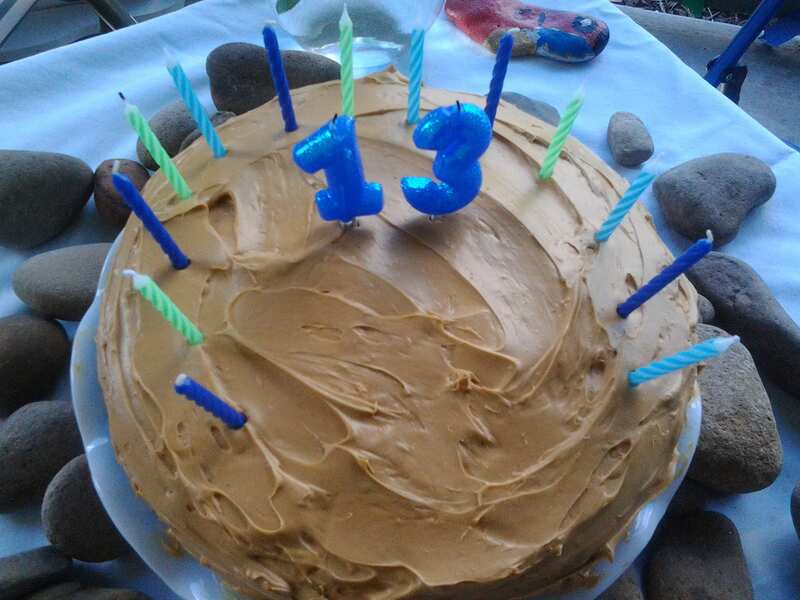 In my attempt to move further and further away from using refined foods, I made a mouth watering cream cheese frosting for my daughter’s birthday cake. Cream cheese frosting is so easy to make and has an amazing, unique flavor! I got so many requests for the recipe that I thought I’d share it here for everyone. Lillian’s birthday party guests could not got enough of it. These young ladies asked for seconds and even asked for the recipe to take home! One sweet girl said she never eats the frosting on cake and that she LOVED this frosting. I agree with her, I don’t care for most frostings as they are too sweet and I can taste that horrid dye! Cream butter and sugar. Add cream cheese and vanilla and mix until smooth. 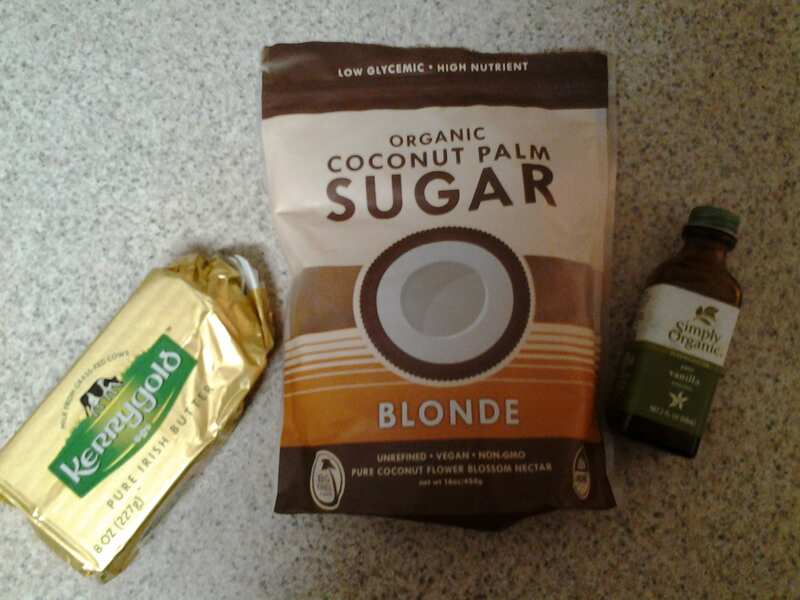 Since coconut sugar is being used instead of fine powdered sugar, let the frosting rest for about 10 minutes several times. Keep mixing until it’s smooth, silky, and a beautiful medium blonde color. I made this frosting to top our almond cookies too. Oh my goodness! YUM! Try it on all your favorite cookies and cakes. *I cheated for the actual cake. I used a gluten free cake mix; which I didn’t like as much as others I’ve tasted. When I find one I like or find a recipe I like I’ll post it on the blog. 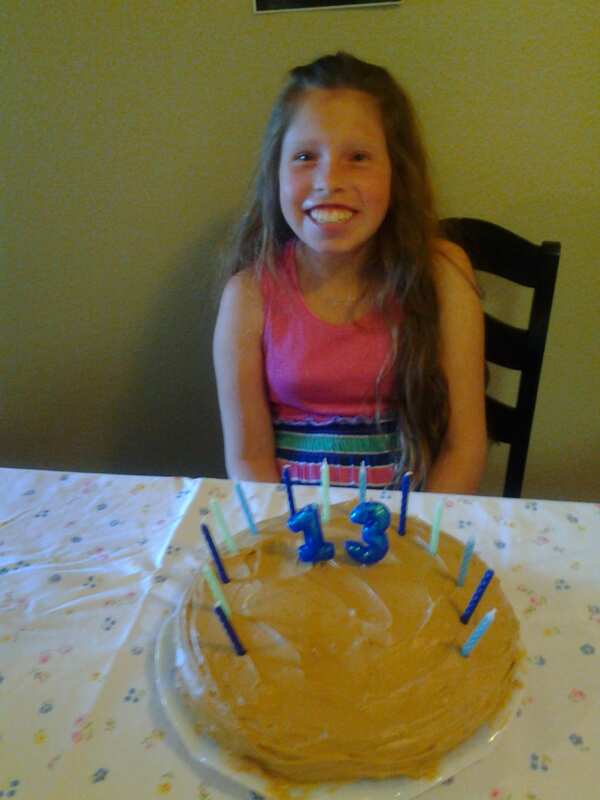 Happy 13th Birthday Beautiful Lillian! Go here to see the latest soul writings. This entry was posted in Recipes and tagged cream cheese frosting, cream cheese frosting recipe, cream cheese recipe, dessert ideas, dessert recipes, easy dessert, gluten free, gluten free cake, gluten free dessert, gluten free food, gluten free frosting, gluten free frosting recipe, gluten free recipes, no gluten diet, no gluten recipes, no powdered sugar frosting, organic palm sugar, palm sugar recipes, powdered sugar free frosting by Camilla. Bookmark the permalink. Hi Camilla! I loved that cake! Me too Lillian!!! We will have to make that one again, for sure! YUM!! hi! found this recipe looking for exactly this! 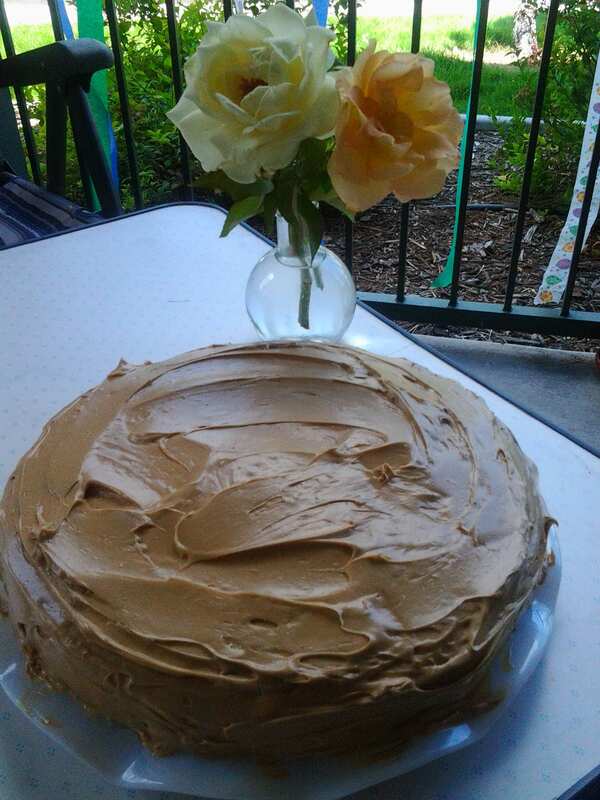 cream cheese frosting WITH coconut sugar and WITHOUT powdered and holy Mary, this frosting is divine! thank you so much!! this should be pinned a thousand times so put up a good picture of it and get it out there!!!! Sorry I meant Camilla, not Abby! Oh my gosh this is perfect! I did use my magic bullet and pulverize the (same brand) palm sugar for 20-30 seconds. I whipped it all together in my kitchen aid and it was perfect! I then added 1/2 teaspoon cinnamon because I had made healthy carrot cake cupcakes, and wanted a little more spice. I garnished with a sprinkle of the non-powdered palm sugar and gave to my client for his 75th birthday. He devoured 2 cupcakes and raved about the frosting! Hi! This recipe looks great! I’m just wondering if I am suppose to use 1/3 cup butter? Because a little further down it says 8oz and that is more than 1/3 cup of butter? Hi Tina! Glad you’re going to try it!! 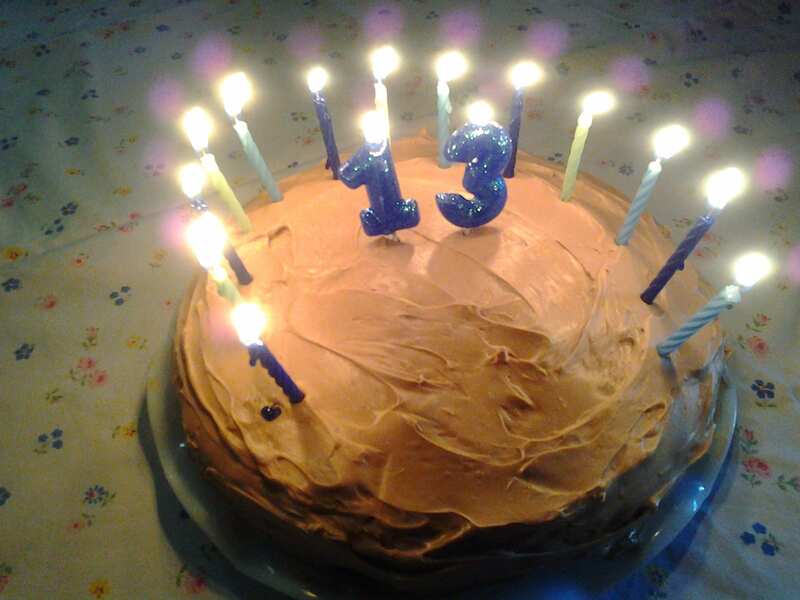 Getting ready to make it again for my daughter’s sixteenth birthday! It’s 1/3 cup. The 8oz is what Amazon automatically pulled in to describe the brand butter I use. Although, don’t be shy to add more or less to your liking. Just depends on how much of a buttery taste you’d like paired with the cream cheese. Have fun!! Just made this frosting—oh my gosh! It tastes heavenly, and is as smooth as silk. Thanks so much for the recipe! I’m so happy you like it! We LOVE it and still use it all these years later. Just had it again on my daughter’s cake for her 16th birthday. It’s a keeper, for sure!